Besides Chris Moneymaker and ESPN, there’s probably no other entity more entitled to claim responsibility for the poker boom than the World Poker Tour. With its top pros, huge prize pools, and flashy presentation, the WPT helped to turn poker from a game people played in their kitchens into one of the most popular competitive games shown on television. 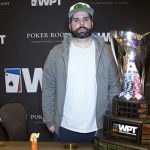 The WPT didn’t invent high-stakes tournaments or the hole-card camera, but it did combine the two in a way that had never been done – and in the process it helped to build an entire industry. 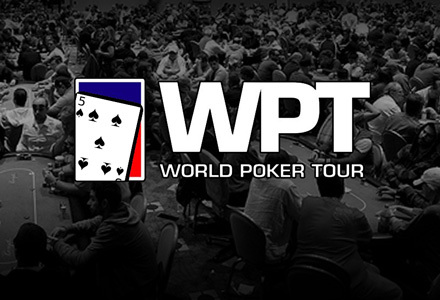 As the WPT Venice Grand Prix wrapped up today, closing out the first two-thirds of World Poker Tour’s landmark tenth season, I thought I’d reflect on some of the changes the WPT has undergone during its decade-long existence. 1. There’s a lot more “World” in today’s World Poker Tour. In the early years, when tournaments were played in France, Aruba, Costa Rica, the Bahamas, and on a cruise ship in international waters, there was enough international presence on the tour to justify the “W” in the WPT’s name. 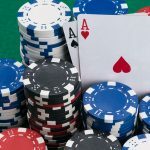 By Season 7, though, only two of the 14 scheduled events were outside the US and the tour was in danger of becoming increasingly irrelevant as the US government’s crackdown on online poker began to have an effect on live tournament and the industry as a whole began to look overseas for its survival. These days there’s a lot more “world” in the World Poker Tour. Season 10 features 12 tournaments outside the US – in locations like Morocco, the Czech Republic, Italy and Ireland – plus another 12 in the US (if you count the Super High Roller tournament planned at the Bellagio’s WPT Championship in May). That’s a much more equitable distribution internationally than in years past. And on a related note, more international players than ever are winning WPT events; of this season’s 16 champions, 10 hail from outside the US. Instead of staying focused on the American market, these days the WPT is helping to grow the game of poker around the world. 2. The money isn’t what it used to be. The earliest seasons of the WPT were more about establishing the tour than the giant prizes up for grabs, but by Season 4 the poker boom was in full swing and the WPT was in the business of creating millionaires. Its 16 events that year attracted 8,189 players and awarded $23,924,170 to the winners, an average of $1,495,261. The biggest winner that year was Joe Bartholdi, who won $3,760,165 for conquering 605 players in the $25,000-buy-in WPT Championship. By Season 9 – the last full season on record – things had changed, not only on the WPT. The total attendance across its events was down to 7,728, despite an increase in the number of events on the schedule to 20. The prizes awarded to winners were down as well, totaling $14,799,701 for an average top prize of $739,985. The biggest winner of Season 9 was WPT Championship winner Gregory Brooks, who took home $1,654,120 as the last man standing from a field of 681 at the $10,000-buy-in LA Poker Classic. 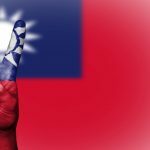 There are lots of reasons for the decline, almost all of which have to do with factors beyond the WPT’s control – there’s the world economy, for starters, as well as the current legal environment for online poker in the US making it impossible to satellite into big events as one could in years past. But there’s no denying that winning a WPT event isn’t quite the prize it used to be. 3. Magicians were once the players. Now they’re the entertainment. With five Top 10 finishes, two titles and more than $2.54 million in earnings from WPT events to his credit, Antonio Esfandiari is one of the more successful players in the tour’s history. The former professional magician’s success on the tour was great enough that the WPT signed a deal with him in 2008 to promote the tour as its WPT Poker-Made Millionaire. Esfandiari managed to win an event in 2010 and make one final table in 2011, but otherwise his output on the WPT in the last few years has ceased. These days the only magician grabbing people’s attention on the WPT is Steven “Dynamo” Frayne. The English magic phenomenon brought his unique brand of entertainment to the players’ party at this week’s WPT Venice Grand Prix. 4. The WPT is no longer the only game in town. Before the WPT came into existence, the entirety of the poker programming on American television consisted of a one-hour special covering the WSOP Main Event final table and the occasional FOX Sports airing of British import Late Night Poker. By the time the WPT had reached its peak, it was competing with dozens of poker shows on all sorts of networks. Besides the expanded coverage of the World Series of Poker on ESPN, the WPT had to compete with shows like Poker Superstars, Ultimate Poker Challenge, High Stakes Poker, Celebrity Poker Showdown, Poker After Dark, and a full complement of made-for-TV fare on the Game Show Network. 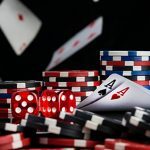 The market has changed a bit in the last few years, especially after Black Friday forced online poker rooms to pull their sponsorships from shows like High Stakes Poker and Poker After Dark. But the WPT still has to compete for eyeballs with a lot of other shows, many of which are considerably less expensive to produce. It’s a good thing, then, that the company has expanded its brand into all sorts of ancillary markets. 5. The new WPT wants to play well with others. Whether or not such a system comes to pass, even the suggestion of such an arrangement would have been impossible in the past. For that alone, the WPT deserves credit. On an only slightly related note, I wanted to take a moment to mark the passing this week of Russian poker player Nikolay Evdakov. Just 47 years old, Evdakov died on Monday, February 6th, after an undisclosed illness. 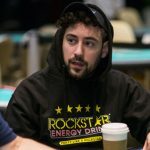 Evdakov made his reputation at the 2008 WSOP, where he cashed 10 times to set a record that still stands today. He followed that success up with another 10 WSOP cashes over the next three years, including a 4th-place finish at the 2010 $10,000 Seven-Card Stud Championship and a 7th-place score in the 2011 $25,000 Heads-Up Championship. All told he won more than $1.15 million playing tournament poker around the world from 2006 to 2011, making him a leading figure in the emerging Russian poker scene.